[Update] It appears that Asus is also testing the prototypes with triple rear cameras aligned vertically at top left corner as shown by some images leaked by @c4etech in his youtube video. Have a look for yourself. A couple of Asus ZenFone 6 leaked prototype videos have popped up on YouTube, and they reveal a design which reveals an on-screen selfie camera cut-out design. The videos are in Portuguese, if you don’t know the language, don’t worry. We will explain what’s in the videos for you. Here’s the phone from the first leaked Asus ZenFone 6 leaked prototype videos. 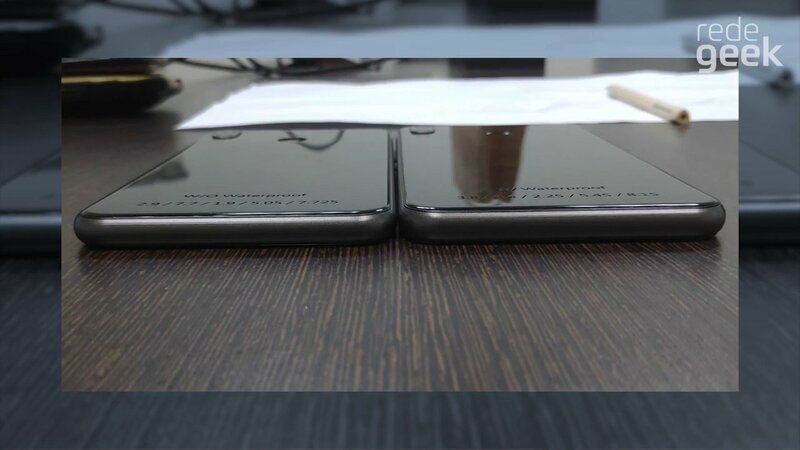 It shows the device along with the Zenfone 5Z (which is on the right). The Zenfone 6’s selfie lens is placed in a corner of the screen, almost near the edge, with a notch-less design. It does give it a minimalistic look, compared to a long horizontal notch. But, do you see the chin bezel? It does look slightly bad. 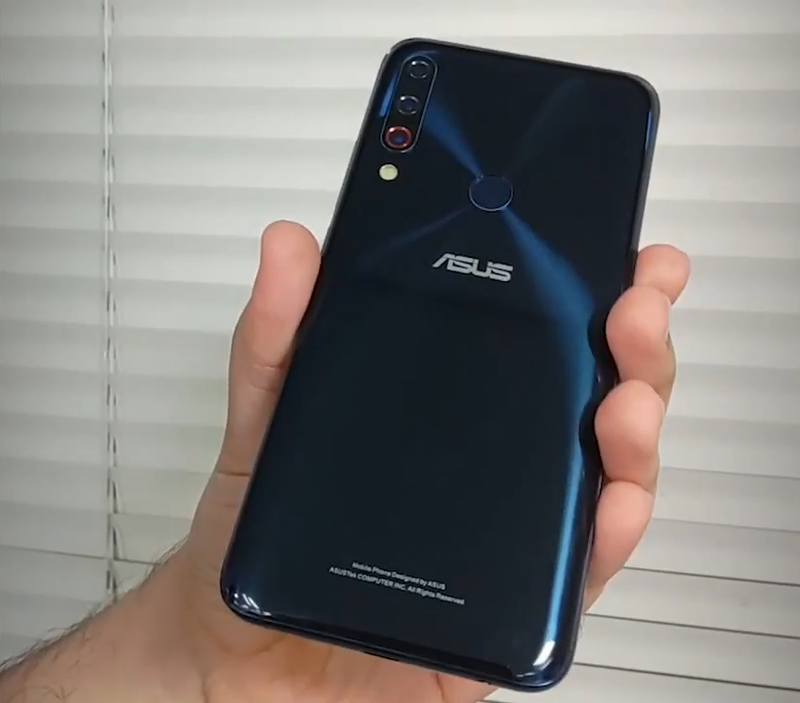 But compared to the ASUS Zenfone 5Z next to which it is pictured, it looks much better. The SIM tray is on the top of the device’s metallic frame, while the power button and the volume rocker keys are on the right edge of the device. The ASUS Zenfone 6 does have a 3.5mm headphone jack, but it does seem to sport a micro-USB port if you look closely. We are not really sure about this though, but companies do like to cut some corners when they have to price the phone for the mid-range market. 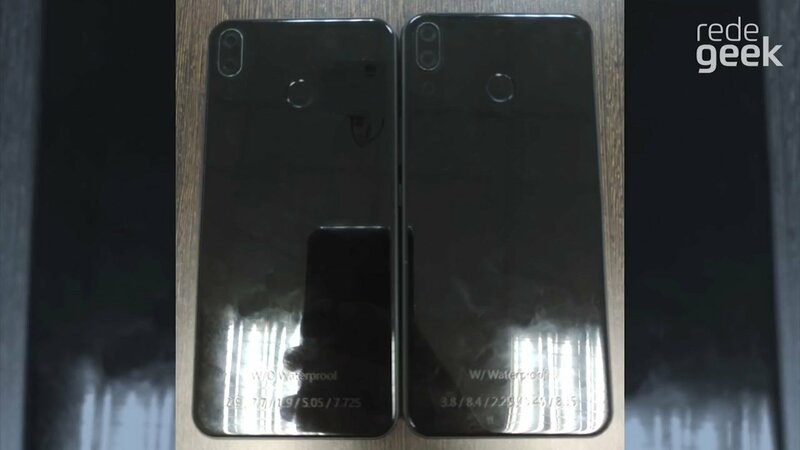 And here’s the second leaked Asus ZenFone 6 leaked prototype design, which shows a design similar to the water-drop/dew-drop notch, except that the selfie camera is on the top-right edge. 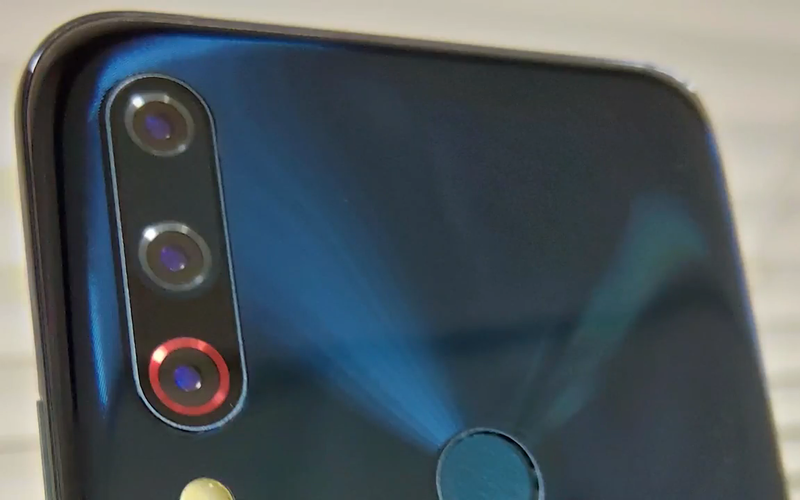 The dual rear cameras on this prototype are not centred, but placed in the top right corner, while a fingerprint scanner is also on the back panel. Do you see a third lens below the dual cameras? Is it a triple camera design? The photos are not clear, thanks to the reflections on the glass back. 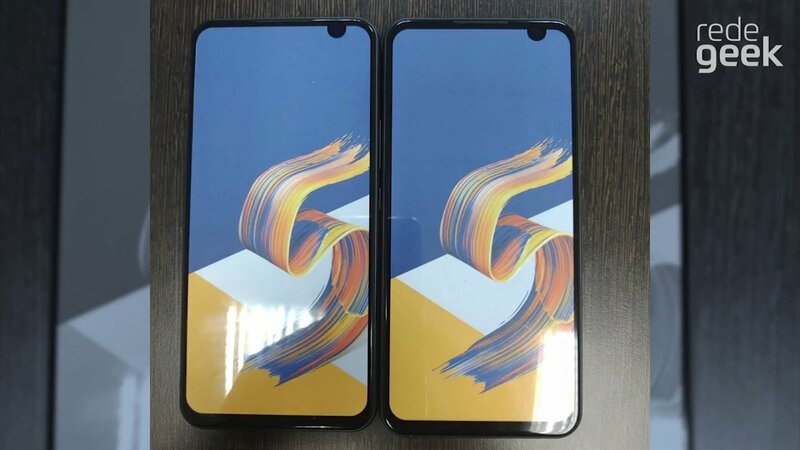 There also appears to be 2 Zenfone 6 variants. And you may have noticed the word Waterproof on the Zenfone 6’s back cover, which suggests at least one of the variants is certified to be, well, waterproof. So, which of the 2 leaked designs is real? And which one do you like? Personally, I don’t like the second design, it looks too weird with the corner-placed selfie camera notch. And even the first design has a large chin bezel, which kind of defeats the point of a minimal design.